Editor’s note: Readers protested vigorously when they saw that we had left Ali Baba off our list, so we’ve put him back on the list, by popular demand. 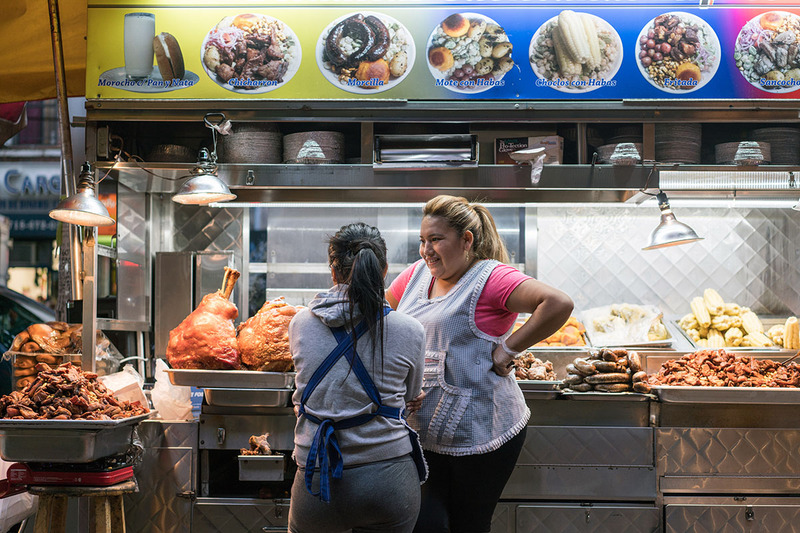 Istanbul’s eaters are spoiled by opportunities to eat great beans – and in the Turkish kitchen that means white beans, in particular, and if you’re lucky, the şeker fasulye type grown in Eastern Turkey’s İspir region. We’ve tried countless subtle variations on roughly the same recipe and, wiping mouth on sleeve after a bowl, declared that we could eat beans every single day of the week. We’ve spent a lot of time comparing almost identical-tasting Black Sea-style beans and hunted down those that are harder to categorize. Taking part in the bean discourse is a great pleasure of ours and we are not alone in doing so. Turkish newspapers regularly run features analyzing the baked bean, featuring inserts ranking the best beans, nationally, by a panel of judges. It’s a gas. From Hong Kong to Houston, a high-powered business lunch is propelled by a big steak and stiff drinks, but here, deals are sealed over beans. The blond and creamy legumes, bathed in a rich, red gravy, are certainly worthy of their dedicated following. We got the feeling that every variable in the recipe is tightly controlled by a board of ustas in white coats. With such resources, how could these not be the best beans in Turkey? Indeed, though we could not identify a single flaw, we were a little disappointed to find them only delicious. We were hoping for magic beans that would transform us into rich and successful people like everyone else at Hüsrev. 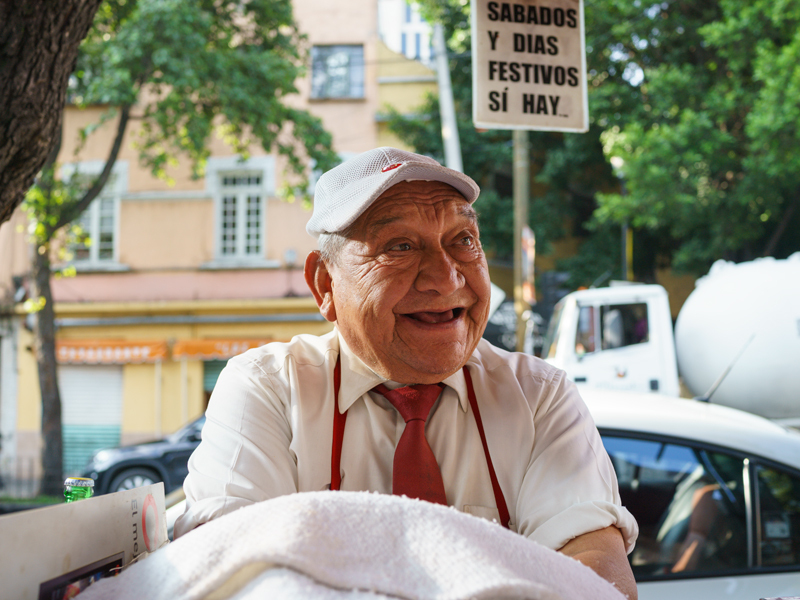 But even though they were the most expensive beans we’d ever eaten, we weren’t that much poorer leaving the place. The beans at Fasuli Lokantası glow unbelievably orange, as if the chef slipped a little something radioactive in the pot. 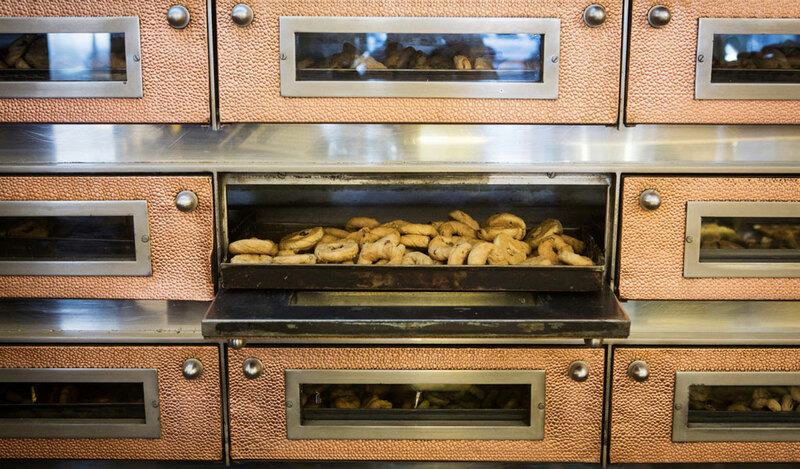 Whatever the recipe, these beans are among the best we’ve had in Istanbul. Stiffened by a whole lot of butter, the gravy and beans achieve almost the same creamy consistency. The cool, crisp raw onions and pickled hot peppers are a welcome balance to the richness of the dish, although their aroma stays with you long after your meal. 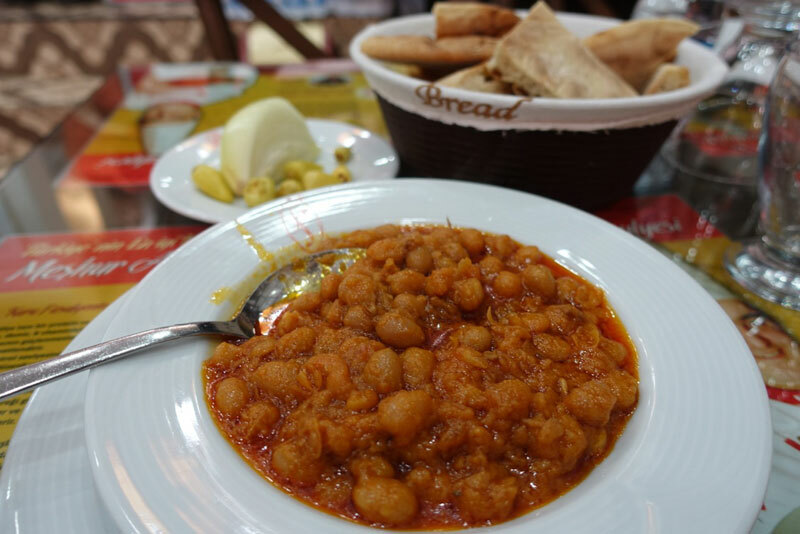 We’ve been dining at the swishy Tophane location with its white tablecloths and bow-tied waiters, but recently stopped in for a bowl of beans at the Çapa branch. 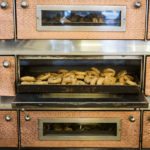 We find the cozy and rustic atmosphere at this location more befitting the beans on the table, as high-class as they are. Less a hole-in-the-wall than a crack between two buildings in the fish market of Beyoğlu, this friendly little tradesmen’s restaurant has been a fallback of ours for years, the place we go for a quick lunch – hot, cheap, and reliable – while our fishmonger or butcher up the street is filleting that night’s dinner. Balkan’s beans are nothing to behold and, anyway, the family running Balkan does not put on airs like that. The beans or the chickpeas are generally regarded as something to drizzle over rice, essential but barely worth mentioning. 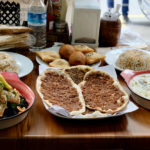 Before we’ve settled at a common table, the waiter belts out our order toward the kitchen at the front – “Bir kuru! Az pilav!” – and seconds later it’s there in front of us. 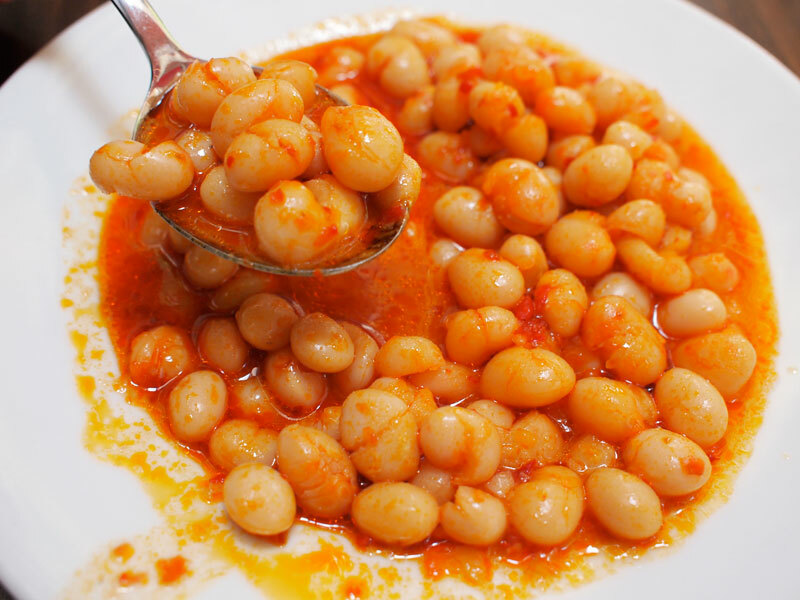 Small white beans bobbing in a runny, pale-red sauce, steaming. Raked over buttery rice and consumed quickly, it is a tasty but not overly tasty fill that we’ve come to rely on as much as we do our butcher’s deft hand. If we didn’t live among so many master bean makers, this is probably the bean we’d try to make at home, and maybe even succeed. 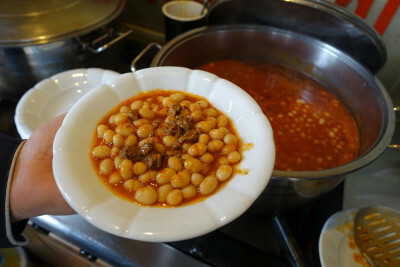 Consider the white beans with pastırma (seasoned air-cured beef) served at Çanak Mangalda a novelty bean. 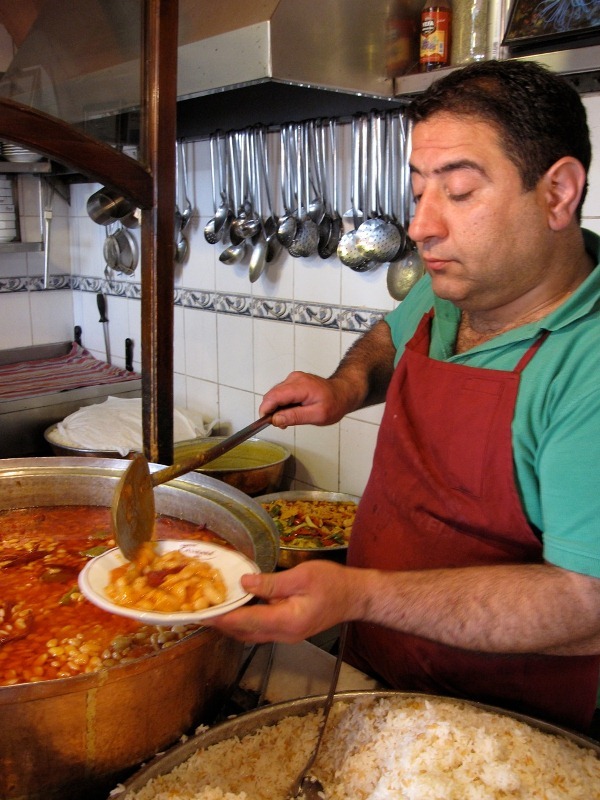 In place of butter they use olive oil, lightening the gravy significantly, and then, shockingly, they mix in a few slices of pastırma. Once you’ve tasted pastırma, with its pungent rind of fenugreek, cumin, red peppers and garlic, it is hard to forget. In a bowl of beans, it’s just as powerful: Every bean and drop of liquid is informed by the spicy flavor of that pastırma rind. 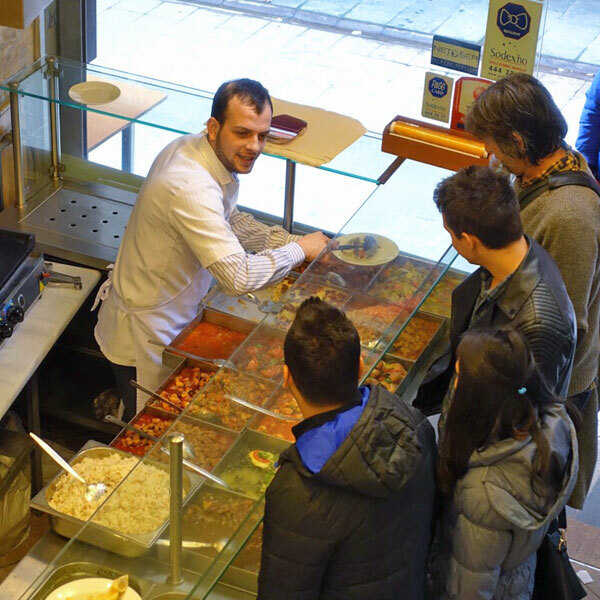 Cemil Demirkan, owner of the place, said that for a family like his, which has its roots in Kosovo, it’s natural to slip a little pastırma in for “extra flavor,” and these beans have become Çanak’s signature. They cook these beans in a big pot on a charcoal grill out back by remnants of the old Byzantine city walls. In front, traffic whizzes past on the Golden Horn coastal road. Aside from Çanak Mangalda and its unique approach to cooking beans, this part of town is well-known for its muffler shops. You can’t miss the huge, red clay cauldron sitting behind the counter at Çömlek. The fellow with the big ladle says it’s the pot that makes these beans better than the rest. 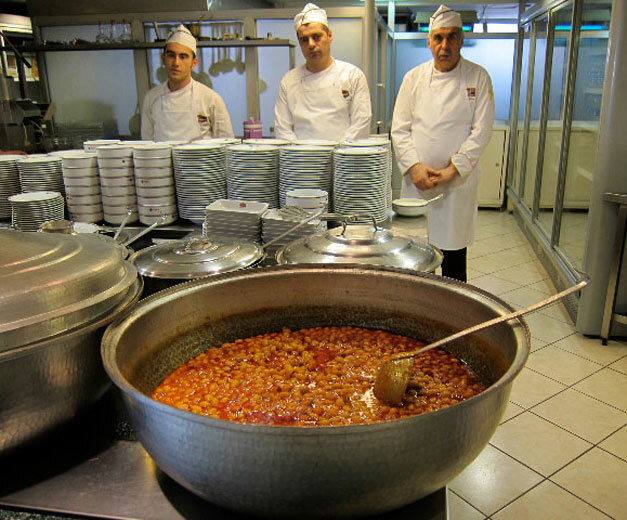 Cooking vessel aside, a serving of these beans also has the highest meat count of any we’ve tasted in Istanbul. 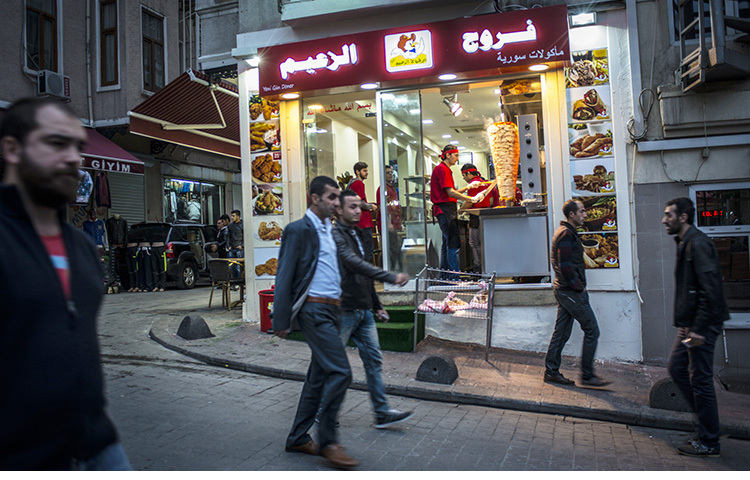 Whereas most beans might have a shred or at best a few nuggets of tender roasted beef in there for flavor, Çömlek’s are crowned with a generous helping of meat. In such a rich dish the meat satisfyingly offsets the cloying beans, leaving the meek still able to walk away and the strong-willed able to order up another half portion. The restaurant, said to be controversial President Recep Tayyip Erdoğan’s favorite beanery, is located on the wooded slopes above Üsküdar on the Asian side, making it a bit out of the way (for now: per Erdogan’s orders, a giant mosque complex is being built in the area). But for us, these are beans at their best and worth the trip. According to historians, Tiryaki Sokak (“Addicts’ Alley”) got its name from the opium served up in its coffeehouses during Ottoman times. Though that substance has long been banned, since 1924 Ali Baba has been ladling out something equally addictive from a great copper pot: Erzincan-style baked beans. Ingredients such as onion, tomato and chili pepper are more recognizable in the soupy base, as the bean is bigger than its Black Sea counterpart. 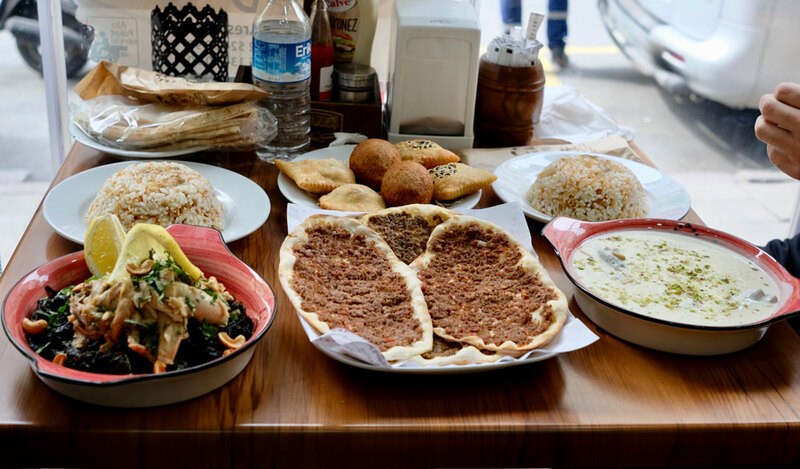 Though we remain junkies of the Black Sea variety, the Erzincan preparation is a nice change of pace and there’s no better place to try a bowl than sitting on Ali Baba’s squat stools in the shadow of the minarets of the sublime Süleymaniye Mosque.